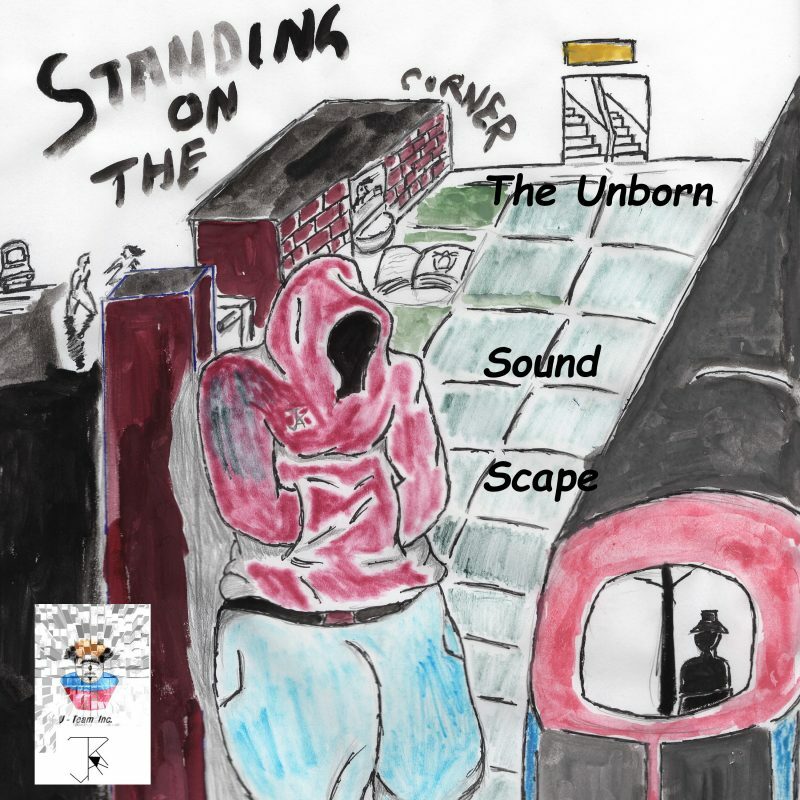 Jokatech – Standing on the Corner: The Unborn Soundscapes – Album Review | The Ark of Music – The best music in the world…you never knew existed. New York, New York’s own, Jason K. Addae, in his own words has, “…always been a poet…”. It is likely that same creative outlet which fueled the drive that would eventually lead him to the world of music. 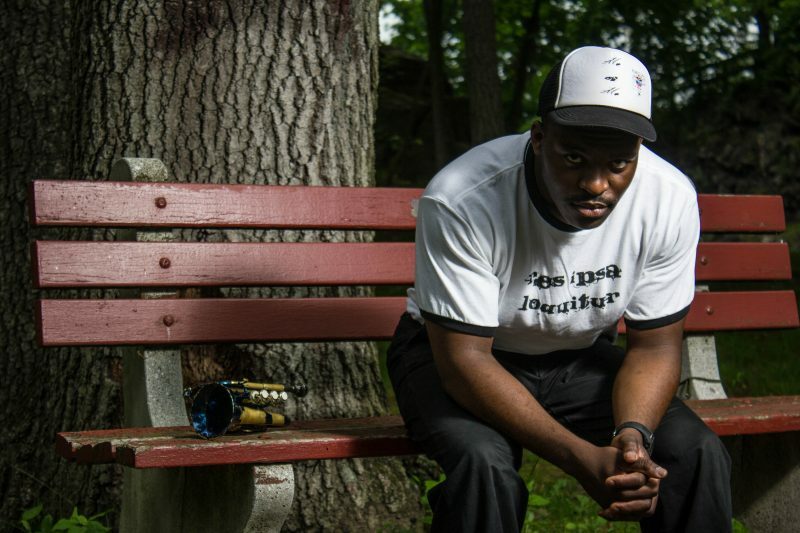 There, he assumed the moniker, Jokatech, (a highschool nickame acquired on his wrestling team), and would go on to create and release what could only be described as his own private anthology of music in the hip-hop and jazz genres with a stunning 18 albums and counting! Creating every aspect of the writing and music all by himself, some of those works include 2014’s Those Silent, 2016’s Standing Still Symphony X and How A Super Hero Feels, as well as 2017’s Religion. His most recent effort, Standing on the Corner: The Unborn Soundscapes, sees Addae returning to the hip-hop arena after holding-up in the realm of jazz for some time. However, as you’ll soon realize, rather than choosing one or the other, in the tradition of those such as Us3 and A Tribe Called Quest, Jason offers us his personal take on the melding of the two in this collection which is dedicated to his future daughter. The abstract and spontaneous, Tyrone, grew on me as every bar passed. And damn, not enough hip-hop artists allow their hard-earned beats and melodies to carry-on alone. Not the case here, as starting at 3:40, the final several minutes are a jazzy, free-for-all instrumental. Over Again features Jason’s trumpet skills juxtaposed onto a rambunctious rhythm. I can smell the jazz club’s cigarette smoke from here. Tell me I’m wrong. Like a trip across an urban rainbow, Score, carries a melody built of ambient, airy tones and a deep and satisfying kick. The whole thing is very A Tribe Called Quest-esque. After completing a single flow-of-consciousness-style verse, once again, Tech knows when to be silent and let the beat carry—complete with old school scratching. Minimalist. Authentic. Original. With the production a bit rough, we generally found the lo-fi-esque, live-sound quality of Jokatech’s latest album, Standing on the Corner: The Unborn Soundscapes, to be generally enduring and unique. With jazz dripping and oozing from virtually every bar, it would be a wild inaccuracy to strictly label this project as a hip-hop album. More accurately, it’s either hip-hop influenced jazz, OR, jazz influenced hip-hop! Either way, Addae’s creativity is a legit and welcome voice in an otherwise culture of poppy hooks and empty verse. BELOW: Listen to Jokatech’s album, Standing on the Corner: The Unborn Soundscapes, and connect with his website and social media platforms. Please support Jokatech by visiting him online, and playing, downloading, and/or purchasing his music, or attending a live show! And, as always, thank you for supporting real music!